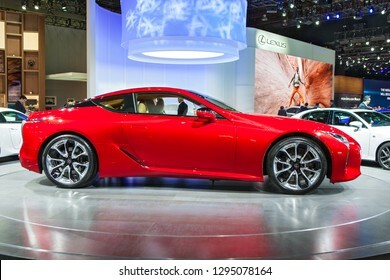 Darren Brode is a freelance photographer based in the Metro Detroit area. 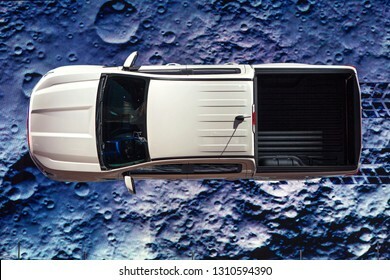 2,995 stock photos, vectors, and illustrations are available royalty-free. 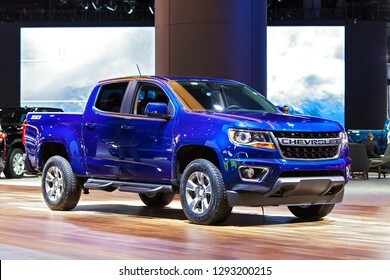 DETROIT - JANUARY 14: The 2019 Chevrolet Colorado pickup truck on display at the North American International Auto Show media preview January 14, 2019 in Detroit, Michigan. 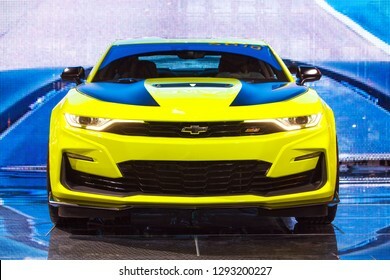 DETROIT - JANUARY 14: The 2019 Chevy Camaro SS on display at the North American International Auto Show media preview January 14, 2019 in Detroit, Michigan. 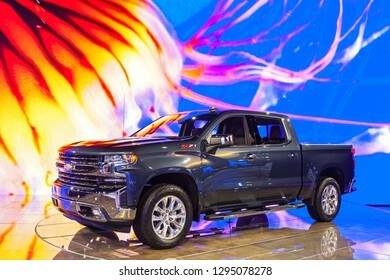 DETROIT - JANUARY 14: The new 2019 Ford Ranger pickup truck on display at the North American International Auto Show media preview January 14, 2019 in Detroit, Michigan. 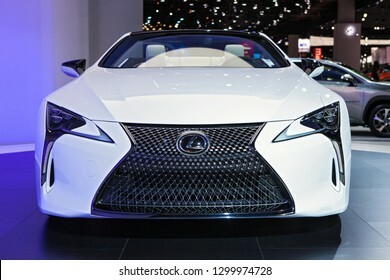 DETROIT - JANUARY 14: A new Lexus concept waits to be unveiled at the North American International Auto Show media preview January 14, 2019 in Detroit, Michigan. 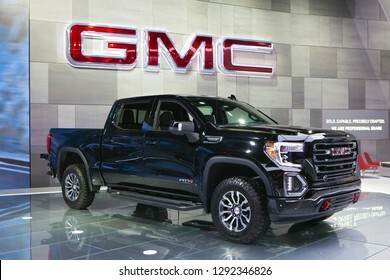 DETROIT - JANUARY 14: The 2019 GMC Sierra pickup truck on display at the North American International Auto Show media preview January 14, 2019 in Detroit, Michigan. 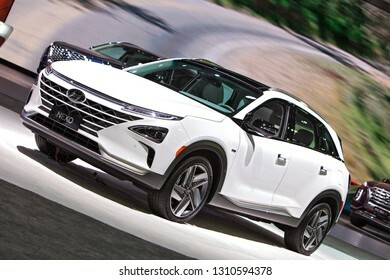 DETROIT - JANUARY 15: The 2019 Hyundai Nexo on display at the North American International Auto Show media preview January 15, 2019 in Detroit, Michigan. 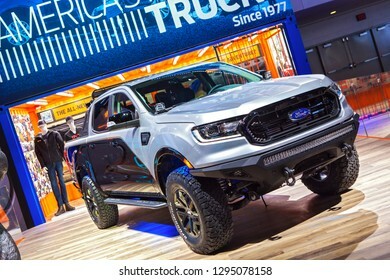 DETROIT - JANUARY 15: Top view of the all new Ford Ranger truck at the North American International Auto Show media preview January 15, 2019 in Detroit, Michigan. 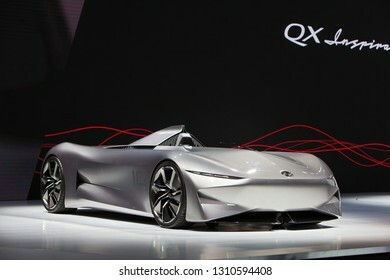 DETROIT - JANUARY 14: The Infiniti QX inspiration concept on display at the North American International Auto Show media preview January 14, 2019 in Detroit, Michigan. 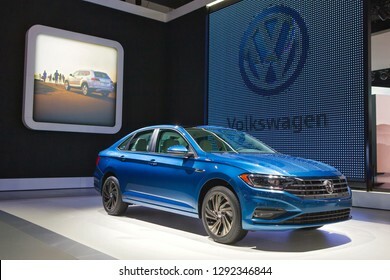 DETROIT - JANUARY 14: The 2019 Volkswagen Jetta on display at the North American International Auto Show media preview January 14, 2019 in Detroit, Michigan. 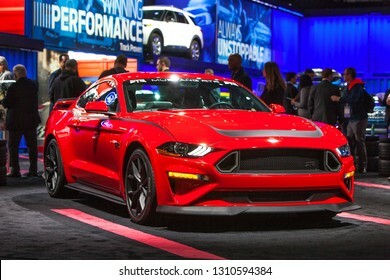 DETROIT - JANUARY 15: The 2020 Ford Mustang RTR on display at the North American International Auto Show media preview January 15, 2019 in Detroit, Michigan. 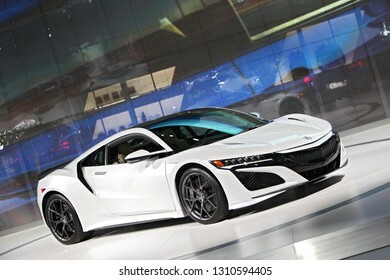 DETROIT - JANUARY 14: The 2019 Acura NSX supercar on display at the North American International Auto Show media preview January 14, 2019 in Detroit, Michigan. 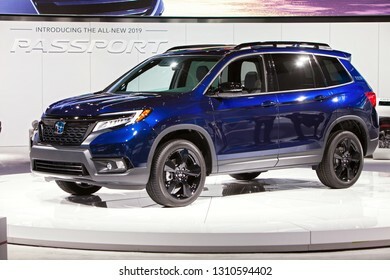 DETROIT - JANUARY 15: The all-new 2019 Honda Passport on display at the North American International Auto Show media preview January 15, 2019 in Detroit, Michigan. 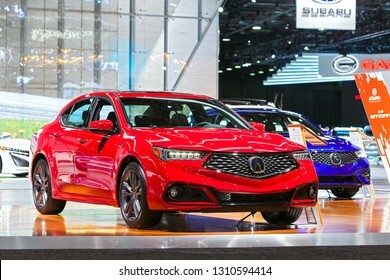 DETROIT - JANUARY 15: The 2019 TLX sedan on display at the North American International Auto Show media preview January 15, 2019 in Detroit, Michigan. 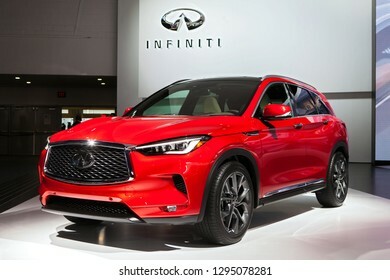 DETROIT - JANUARY 15: The 2019 Infiniti QX50 on display at the North American International Auto Show media preview January 15, 2019 in Detroit, Michigan. 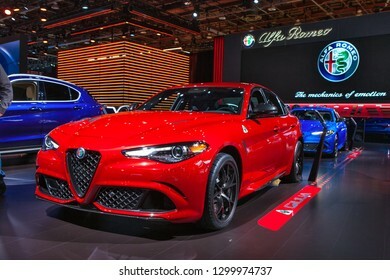 DETROIT - JANUARY 15: The 2019 Alfa Romeo Giulia on display at the North American International Auto Show media preview January 15, 2019 in Detroit, Michigan. 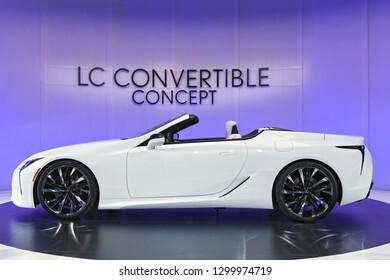 DETROIT - JANUARY 15: The Lexus LC Convertible Concept on display at the North American International Auto Show media preview January 15, 2019 in Detroit, Michigan. 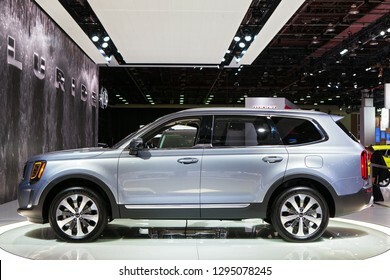 DETROIT - JANUARY 14: The debut of the Kia Telluride SUV at the North American International Auto Show media preview January 14, 2019 in Detroit, Michigan. 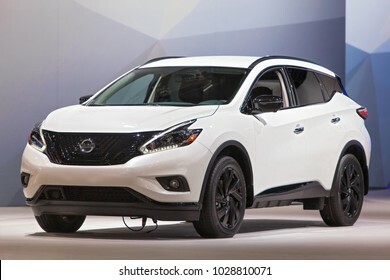 DETROIT - JANUARY 14: The 2019 Nissan Murano on display at the North American International Auto Show media preview January 14, 2019 in Detroit, Michigan. 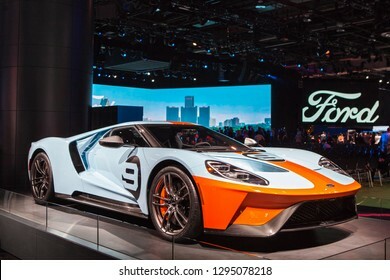 DETROIT - JANUARY 14: A Ford GT supercar on display at the North American International Auto Show media preview January 14, 2019 in Detroit, Michigan. 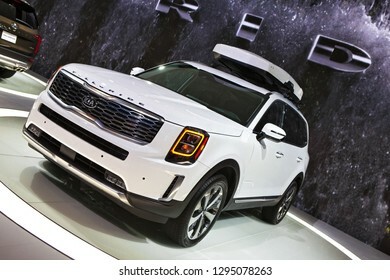 DETROIT - JANUARY 15: The all-new Kia Telluride on display at the North American International Auto Show media preview January 15, 2019 in Detroit, Michigan. 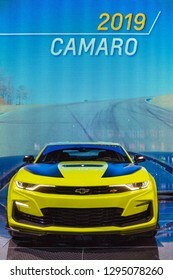 DETROIT - JANUARY 15: The 2019 Chevrolet Camaro SS on display at the North American International Auto Show media preview January 15, 2019 in Detroit, Michigan. 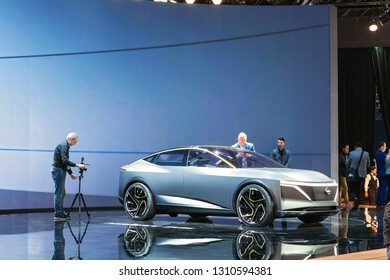 DETROIT - JANUARY 15: The Chevrolet Sivarado Z71 on display at the North American International Auto Show media preview January 15, 2019 in Detroit, Michigan. 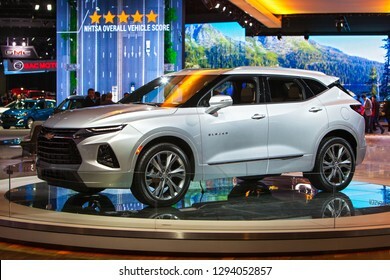 DETROIT - JANUARY 14: The all new 2020 Chevrolet Blazer on display at the North American International Auto Show media preview January 14, 2019 in Detroit, Michigan. 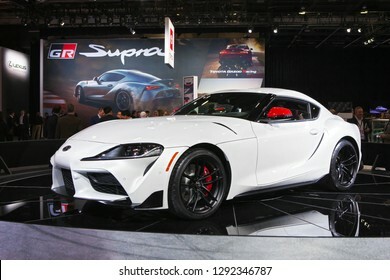 DETROIT - JANUARY 14: The all new Toyota Supra on display at the North American International Auto Show media preview January 14, 2019 in Detroit, Michigan. 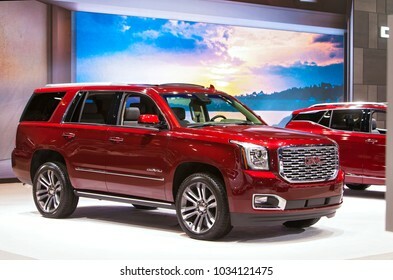 CHICAGO - February 8: The 2018 GMC Yukon Denali on display at the Chicago Auto Show media preview February 8, 2018 in Chicago, Illinois. 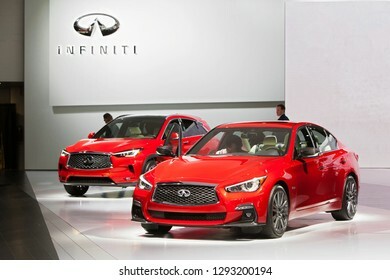 DETROIT - JANUARY 14: The 2019 Inifiniti Q50 on display at the North American International Auto Show media preview January 14, 2019 in Detroit, Michigan. 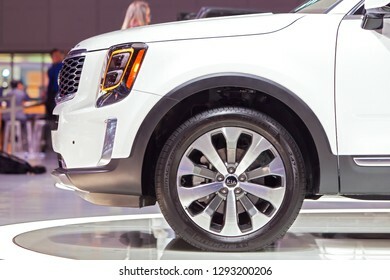 DETROIT - JANUARY 14: The front quarter panel of the new Kia Telluride at the North American International Auto Show media preview January 14, 2019 in Detroit, Michigan. 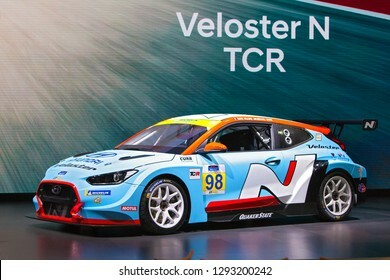 DETROIT - JANUARY 14: The Hyundai Veloster N TCR race car on display at the North American International Auto Show media preview January 14, 2019 in Detroit, Michigan. 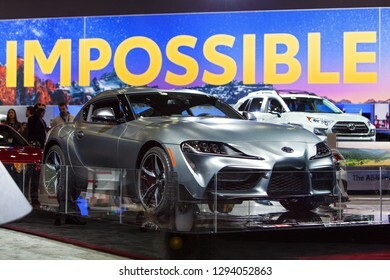 DETROIT - JANUARY 14: The debut of the new 2020 Toyota Supra at the North American International Auto Show media preview January 14, 2019 in Detroit, Michigan. 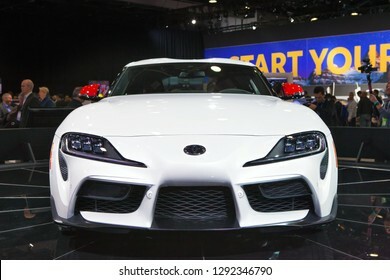 DETROIT - JANUARY 14: Front view of the new Toyota Supra at the North American International Auto Show media preview January 14, 2019 in Detroit, Michigan. 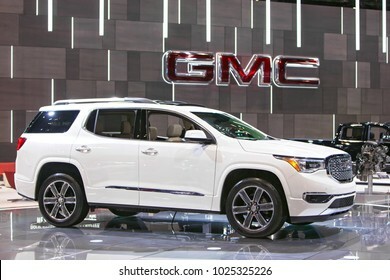 DETROIT - JANUARY 14: A GMC Denali SUV on display at the North American International Auto Show media preview January 14, 2019 in Detroit, Michigan. 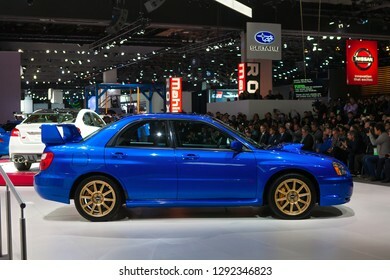 DETROIT - JANUARY 14: A 1995 Subaru WRX on display during the media preview at the North American International Auto Show media preview January 14, 2019 in Detroit, Michigan. 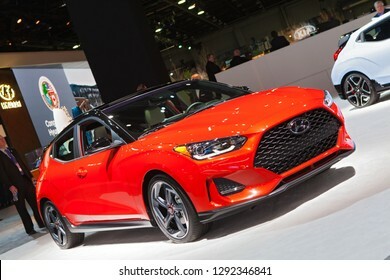 DETROIT - JANUARY 14: A Hyundai Veloster on display at the North American International Auto Show media preview January 14, 2019 in Detroit, Michigan. 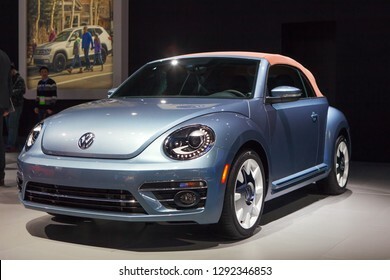 DETROIT - JANUARY 14: The 2019 Volkswagen Beetle Convertible on display at the North American International Auto Show media preview January 14, 2019 in Detroit, Michigan. 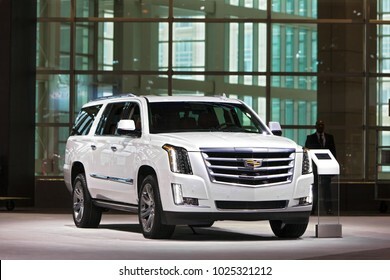 CHICAGO - February 9: The 2019 Cadillac Escalade on display at the Chicago Auto Show media preview February 9, 2018 in Chicago, Illinois. 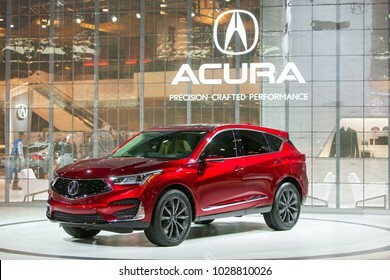 CHICAGO - February 8: The new 2019 Acura RDX on display at the Chicago Auto Show media preview February 8, 2018 in Chicago, Illinois. 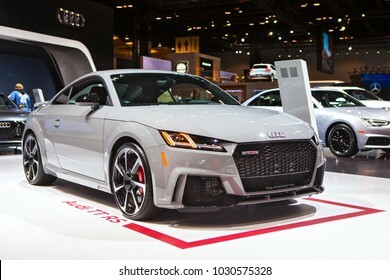 CHICAGO - February 9: The 2018 Audi TT RS on display at the Chicago Auto Show media preview February 9, 2018 in Chicago, Illinois. 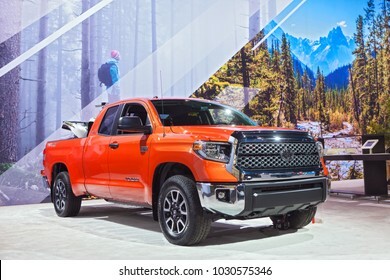 CHICAGO - February 8: The Toyota Tundra TRD Pro on display at the Chicago Auto Show media preview February 8, 2018 in Chicago, Illinois. 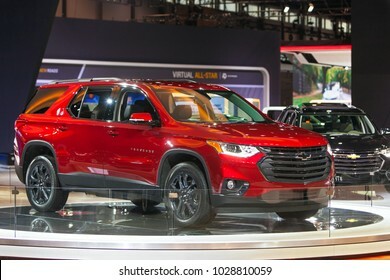 CHICAGO - February 9: The 2018 Chevrolet Traverse on display at the Chicago Auto Show media preview February 9, 2018 in Chicago, Illinois. 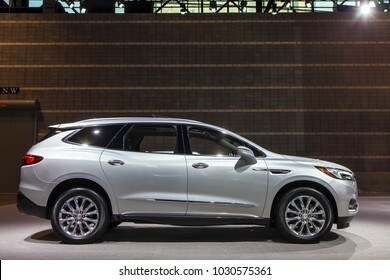 CHICAGO - February 8: The Buick Envision on display at the Chicago Auto Show media preview February 8, 2018 in Chicago, Illinois. 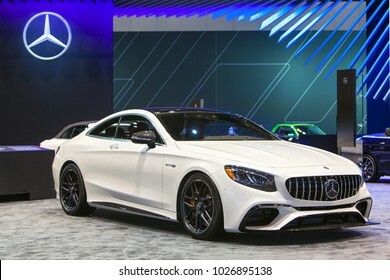 CHICAGO - February 9: The Mercedes Benz AMG E-Class Coupe on display at the Chicago Auto Show media preview February 9, 2018 in Chicago, Illinois. 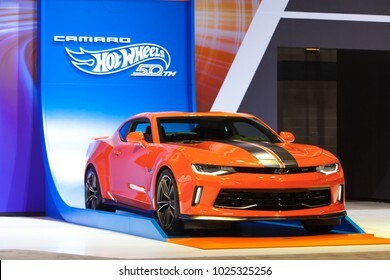 CHICAGO - February 9: The Hot Wheels 50th Anniversary Camaro on display at the Chicago Auto Show media preview February 9, 2018 in Chicago, Illinois. 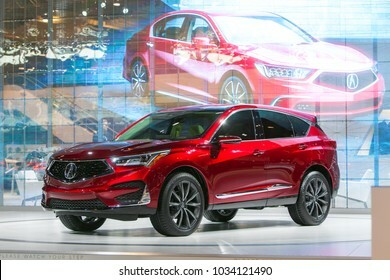 CHICAGO - February 9: The Acura RDX SUV on display at the Chicago Auto Show media preview February 9, 2018 in Chicago, Illinois. 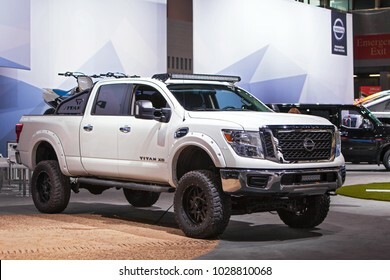 CHICAGO - February 9: The 2018 Nissan Titan XD on display at the Chicago Auto Show media preview February 9, 2018 in Chicago, Illinois. 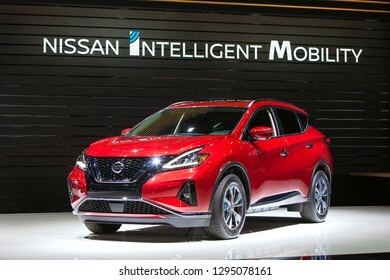 CHICAGO - February 9: The 2018 Nissan Murano on display at the Chicago Auto Show media preview February 9, 2018 in Chicago, Illinois. 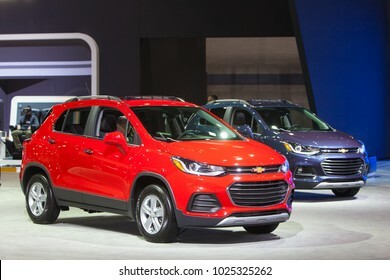 CHICAGO - February 9: The 2018 Chevrolet Trax on display at the Chicago Auto Show media preview February 9, 2018 in Chicago, Illinois. 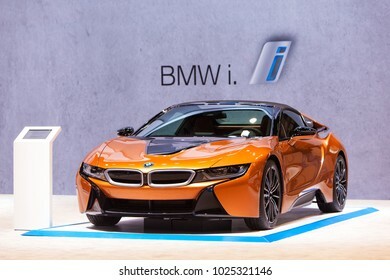 CHICAGO - February 9: The BMW i8 electric vehicle on display at the Chicago Auto Show media preview February 9, 2018 in Chicago, Illinois. 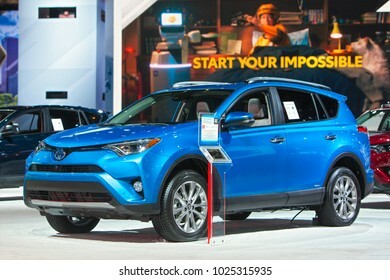 CHICAGO - February 9: The 2019 Rav4 Hybrid on display at the Chicago Auto Show media preview February 9, 2018 in Chicago, Illinois. 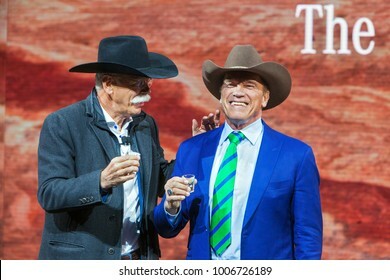 DETROIT - JANUARY 14 : Arnold Schwarzenegger talks with Mercedes President Dieter Zetsche at the NAIAS media preview January 14, 2018 in Detroit, MIchigan. 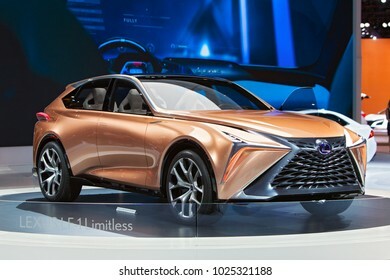 CHICAGO - February 9: The Lexus LF-1 Limitless concept on display at the Chicago Auto Show media preview February 9, 2018 in Chicago, Illinois. 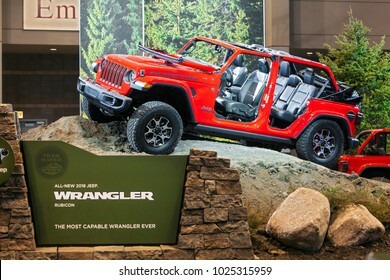 CHICAGO - February 9: The 2019 Chrysler Jeep Rubicon on display at the Chicago Auto Show media preview February 9, 2018 in Chicago, Illinois. 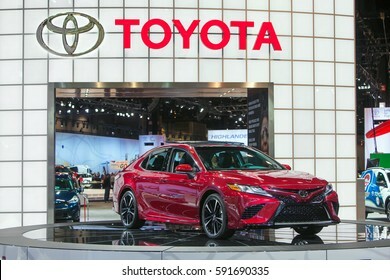 CHICAGO - February 9: The 2018 Toyota Camry on display at the Chicago Auto Show media preview February 9, 2016 in Chicago, Illinois. 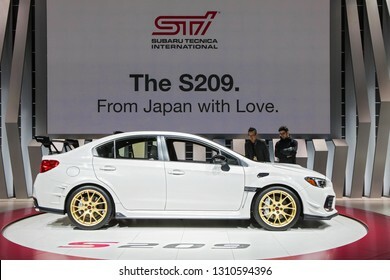 DETROIT - JANUARY 14: The all new Subaru WRX STI S209 on display at the North American International Auto Show media preview January 14, 2019 in Detroit, Michigan. 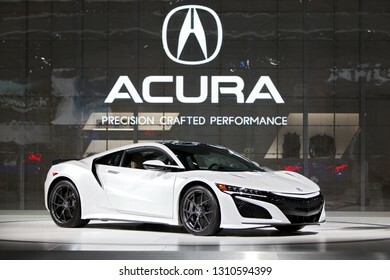 DETROIT - JANUARY 15: The 2019 Acura NSX on display at the North American International Auto Show media preview January 15, 2019 in Detroit, Michigan. 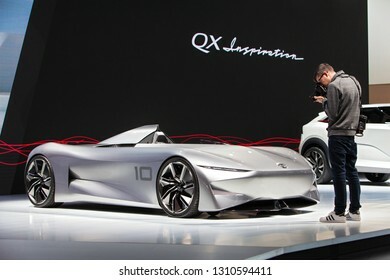 DETROIT - JANUARY 15: The Infiniti Prototype 10 one seater supercar on display at the North American International Auto Show media preview January 15, 2019 in Detroit, Michigan. 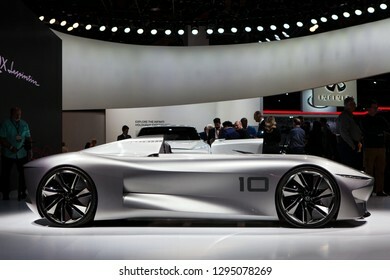 DETROIT - JANUARY 15: The Infiniti Prototype 10 on display at the North American International Auto Show media preview January 15, 2019 in Detroit, Michigan. 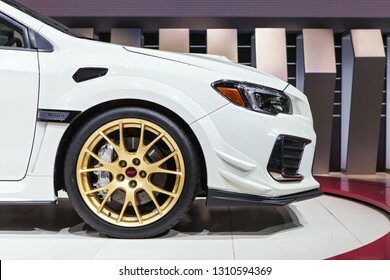 DETROIT - JANUARY 15: Front of the new Subaru WRX STi S209 at the North American International Auto Show media preview January 15, 2019 in Detroit, Michigan. 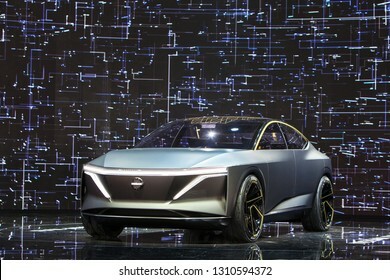 DETROIT - JANUARY 15: The Nissan IMs concept on display at the North American International Auto Show media preview January 15, 2019 in Detroit, Michigan. 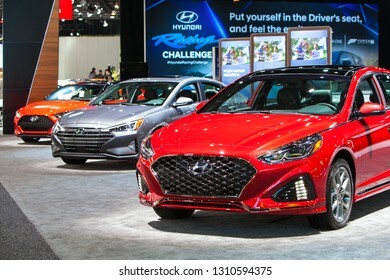 DETROIT - JANUARY 15: A row of Hyundais on display at the North American International Auto Show media preview January 15, 2019 in Detroit, Michigan. 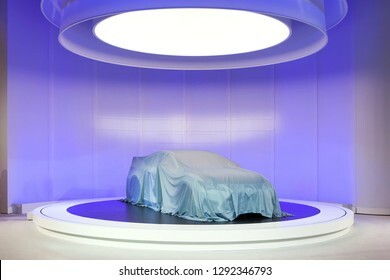 DETROIT - JANUARY 15: Members of the media loking at a Nissan Prototype on display at the North American International Auto Show media preview January 15, 2019 in Detroit, Michigan. 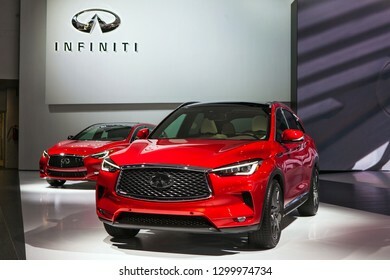 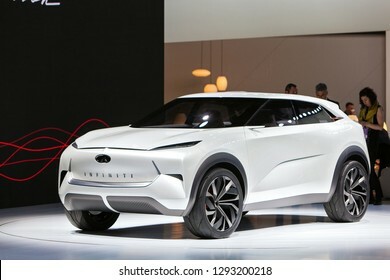 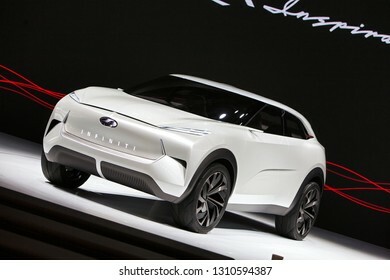 DETROIT - JANUARY 15: The Infiniti QX Inspiration SUV concept on display at the North American International Auto Show media preview January 15, 2019 in Detroit, Michigan. 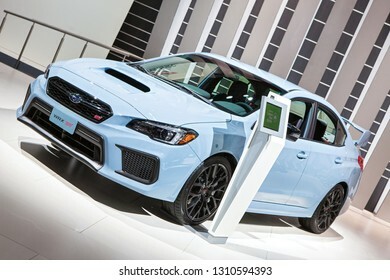 DETROIT - JANUARY 15: The 2019 Subaru WRX STI on display at the North American International Auto Show media preview January 15, 2019 in Detroit, Michigan. 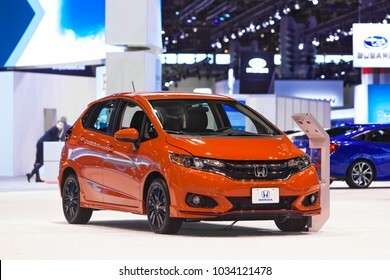 CHICAGO - February 8: The 2018 Honda Fit on display at the Chicago Auto Show media preview February 8, 2018 in Chicago, Illinois. 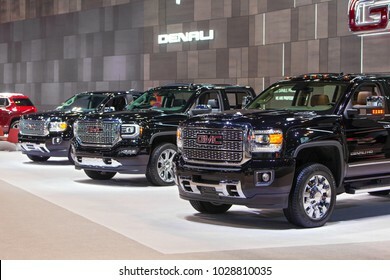 CHICAGO - February 9: A row of GMC Denali trucks on display at the Chicago Auto Show media preview February 9, 2018 in Chicago, Illinois. 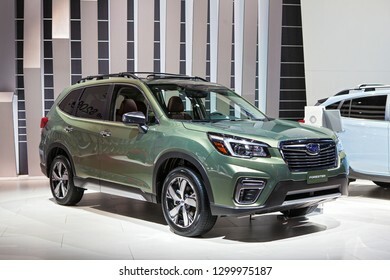 DETROIT - JANUARY 15: The Subaru Forester on display at the North American International Auto Show media preview January 15, 2019 in Detroit, Michigan. 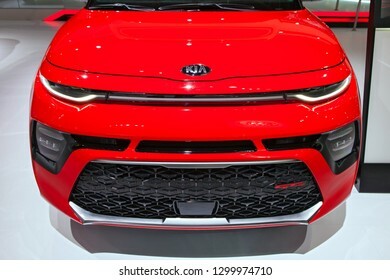 DETROIT - JANUARY 15: Front view of the Kia Soul GT Line at the North American International Auto Show media preview January 15, 2019 in Detroit, Michigan. 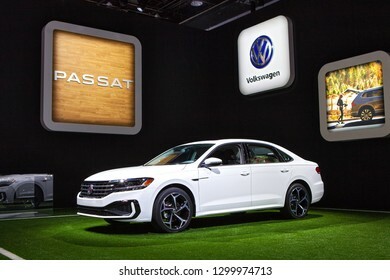 DETROIT - JANUARY 15: The 2019 Volkswagen Passat on display at the North American International Auto Show media preview January 15, 2019 in Detroit, Michigan. 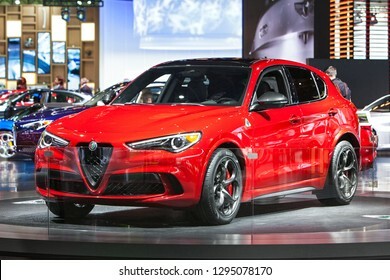 DETROIT - JANUARY 15: The 2019 Alfa Romeo Stelvio on display at the North American International Auto Show media preview January 15, 2019 in Detroit, Michigan. 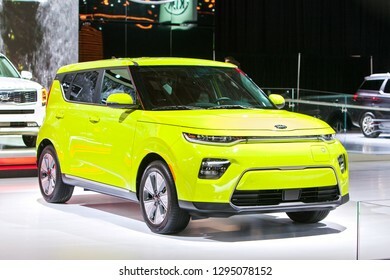 DETROIT - JANUARY 15: The 2019 Kia Soul on display at the North American International Auto Show media preview January 15, 2019 in Detroit, Michigan. 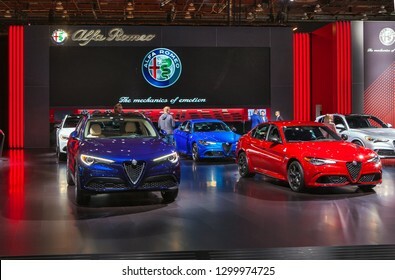 DETROIT - JANUARY 15: The Alfa Romeo exhibit at the North American International Auto Show media preview January 15, 2019 in Detroit, Michigan. 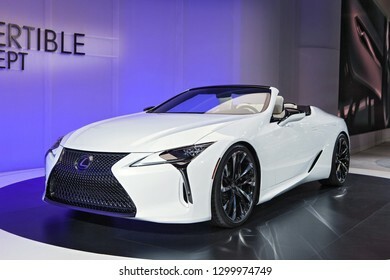 DETROIT - JANUARY 15: Front view of the Lexus LC Convertible Concept at the North American International Auto Show media preview January 15, 2019 in Detroit, Michigan. 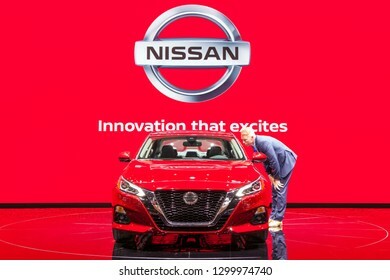 DETROIT - JANUARY 15: A member of the media looks at the new 2019 Nissan Maxima at the North American International Auto Show media preview January 15, 2019 in Detroit, Michigan. 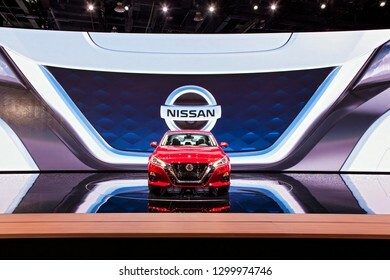 DETROIT - JANUARY 15: The 2019 Nissan Maxima on display at the North American International Auto Show media preview January 15, 2019 in Detroit, Michigan. 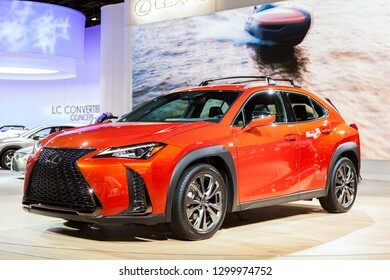 DETROIT - JANUARY 15: The all-new 2019 Lexus UX on display at the North American International Auto Show media preview January 15, 2019 in Detroit, Michigan. 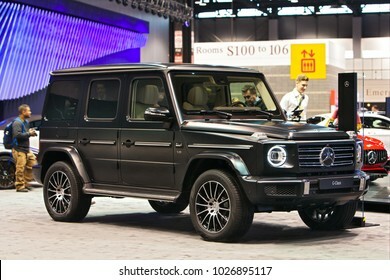 CHICAGO - February 9: The new Mercedes Benz G-Class Wagon on display at the Chicago Auto Show media preview February 9, 2018 in Chicago, Illinois. 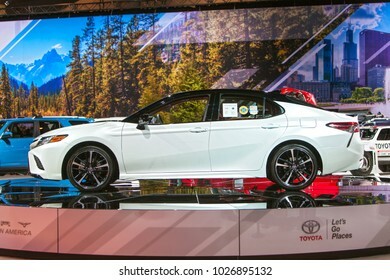 CHICAGO - February 9: The 2019 Toyota Camry on display at the Chicago Auto Show media preview February 9, 2018 in Chicago, Illinois. 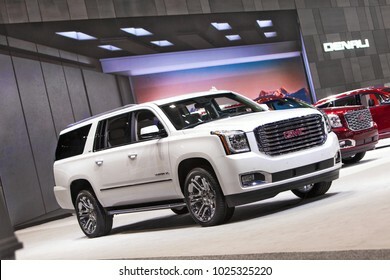 CHICAGO - February 9: The 2018 Yukon Denali on display at the Chicago Auto Show media preview February 9, 2018 in Chicago, Illinois. 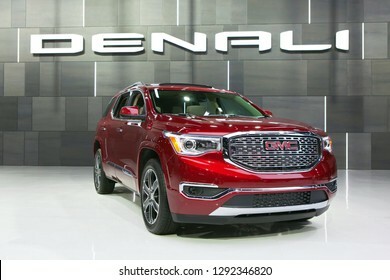 CHICAGO - February 9: The 2019 GMC Arcadia Denali on display at the Chicago Auto Show media preview February 9, 2018 in Chicago, Illinois. 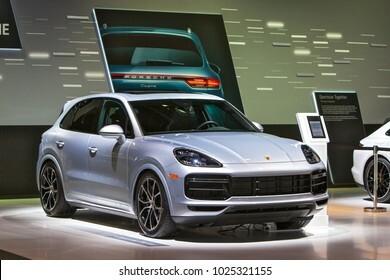 CHICAGO - February 9: The 2018 Porsche Cayenne on display at the Chicago Auto Show media preview February 9, 2018 in Chicago, Illinois. 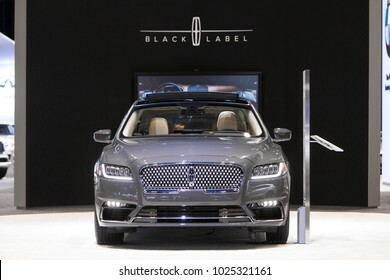 CHICAGO - February 9: The Lincoln Black Label Continental on display at the Chicago Auto Show media preview February 9, 2018 in Chicago, Illinois. 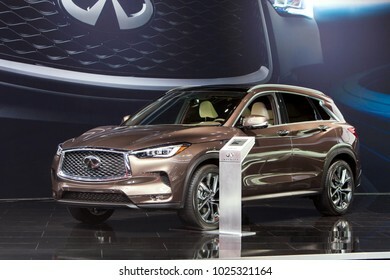 CHICAGO - February 9: The Infiniti QX50 on display at the Chicago Auto Show media preview February 9, 2018 in Chicago, Illinois. 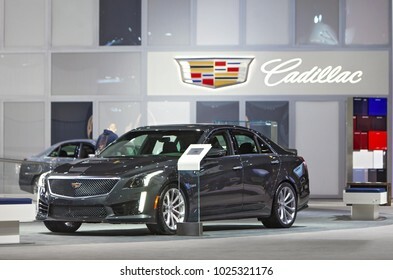 CHICAGO - February 9: The 2018 Cadillac XTS on display at the Chicago Auto Show media preview February 9, 2018 in Chicago, Illinois. 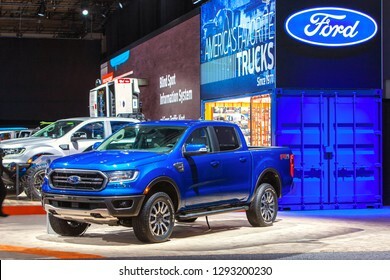 DETROIT - JANUARY 14: The new Ford Ranger pickup truck on display at the North American International Auto Show media preview January 14, 2019 in Detroit, Michigan. 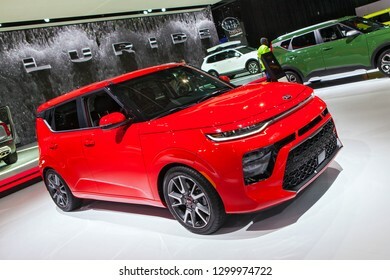 DETROIT - JANUARY 14: The 2019 Kia Soul on display at the North American International Auto Show media preview January 14, 2019 in Detroit, Michigan. 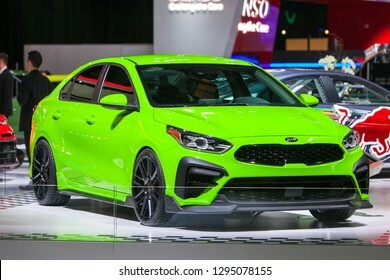 DETROIT - JANUARY 14: The 2019 Kia Forte on display at the North American International Auto Show media preview January 14, 2019 in Detroit, Michigan. 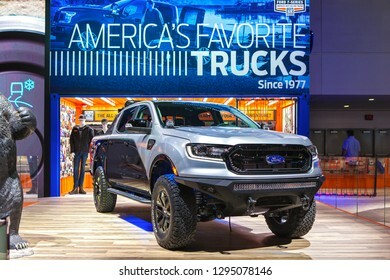 DETROIT - JANUARY 14: The debut of the new Ford Ranger pickup truck at the North American International Auto Show media preview January 14, 2019 in Detroit, Michigan. 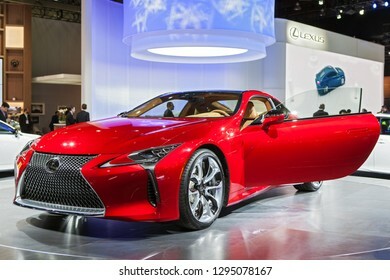 DETROIT - JANUARY 14: The 2019 Lexus LC on display at the North American International Auto Show media preview January 14, 2019 in Detroit, Michigan. 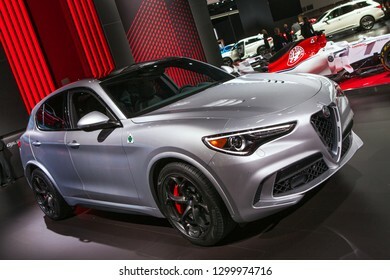 DETROIT - JANUARY 14: The 2019 Alfa Romeo Stelvia on display at the North American International Auto Show media preview January 14, 2019 in Detroit, Michigan. 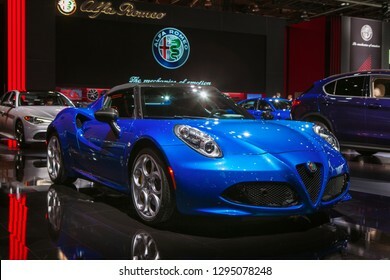 DETROIT - JANUARY 15: The Alfa Romeo 430c on display at the North American International Auto Show media preview January 15, 2019 in Detroit, Michigan. 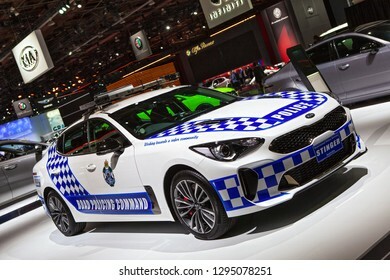 DETROIT - JANUARY 15: A Kia Stinger police car on display at the North American International Auto Show media preview January 15, 2019 in Detroit, Michigan. 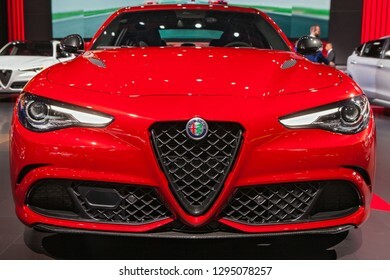 DETROIT - JANUARY 15: Front view of the 2019 Alfa Romeo Giulia at the North American International Auto Show media preview January 15, 2019 in Detroit, Michigan. 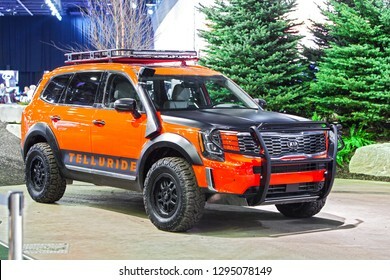 DETROIT - JANUARY 15: The 2019 Kia Telluride SUV on display at the North American International Auto Show media preview January 15, 2019 in Detroit, Michigan. 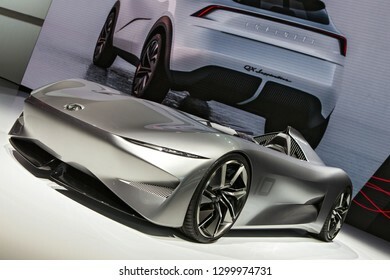 DETROIT - JANUARY 15: The Infiniti Prototype 10 concept on display at the North American International Auto Show media preview January 15, 2019 in Detroit, Michigan. 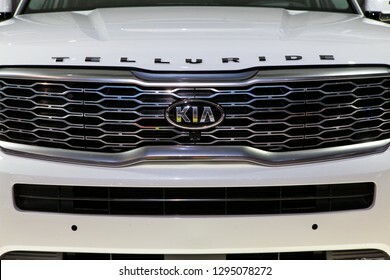 DETROIT - JANUARY 15: The front grill of the new Kia Telluride at the North American International Auto Show media preview January 15, 2019 in Detroit, Michigan. 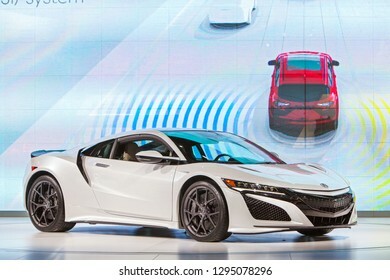 DETROIT - JANUARY 14: The Acura NSX on display at the North American International Auto Show media preview January 14, 2019 in Detroit, Michigan.